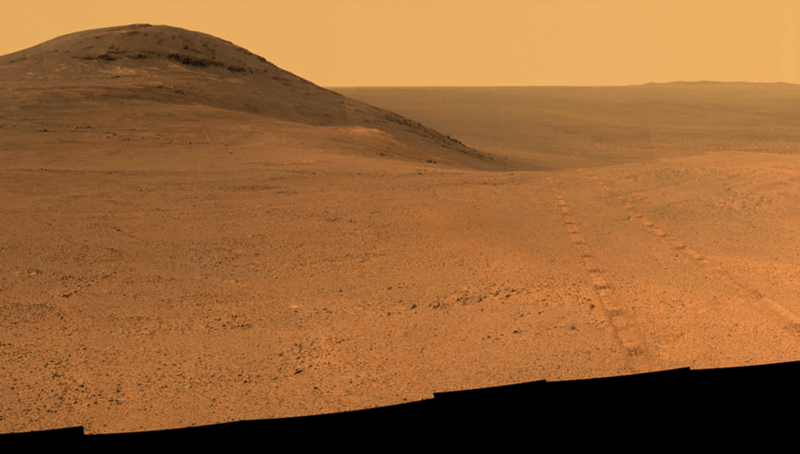 For about the past 30 months, the Opportunity rover has been exploring Cape Tribulation on Mars, a towering ridge on the rim of Endeavour crater. Now, Opportunity has finally left that location, to continue its journey southward down the western side of the crater rim. The views have been scenic from the top of Cape Tribulation, but now it is time to move on, and head to the next major target, an ancient gully not too far to the south-east, also on the crater rim. This gully is thought to have been carved by running water millions or billions of years ago, so scientists are very interested in examining it up close, and the rover is now almost there. Thirteen years. That is how long NASA’s Opportunity rover has now been exploring Meridiani Planum on Mars; not bad for a robot which was designed with a hoped-for nominal 90-day mission. Today marks the 13th anniversary of the landing of Opportunity, on Jan. 24, 2004 PST (Jan. 25, 2004 UTC). The mission since then has been nothing short of incredible, as Opportunity soon found evidence that Meridiani Planum used to be a much wetter place than it is now. 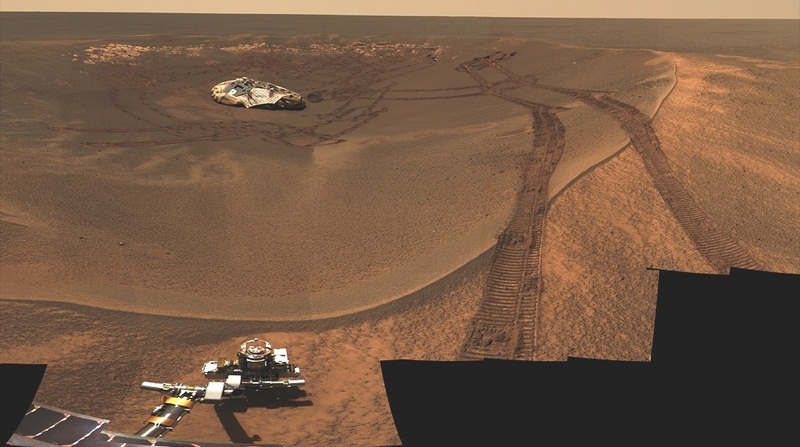 It was a place where microbial life could have existed; whether it actually did or not is still unknown but Opportunity continues to provide more clues as it continues exploring vast sandy plains and mountainous crater rims.